I’m not even sure where to start with this wedding. Over the years I have photographed many different kinds of weddings, but never a traditional Indian ceremony. I was really excited to be a part of this wedding and to photograph all the beautiful colors, customs, and people. But weddings, at least to me, are not about those things. 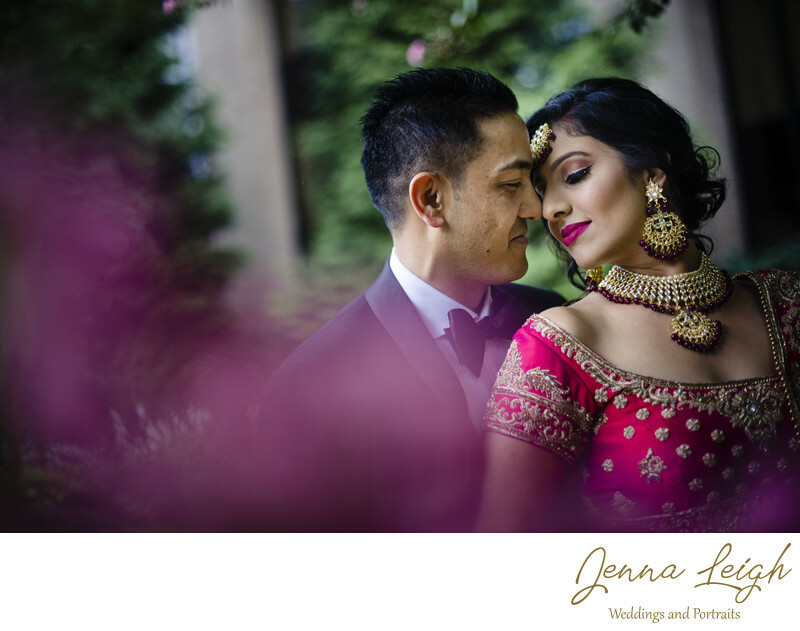 The details and the dresses are only a bonus to capturing the love and emotions between two people on one of the most important days in their lives. When I arrived for Manu and Vadhna’s sangeet I was immediately welcomed with so much warmth by their families. They allowed me to be a part of the festivities by enjoying the delicious food and joining in with the dancing. It was an honor to be invited into such intimate moments and to have the opportunity to experience the Indian culture up close and at a personal level. The following day I was captivated at every turn with all the beauty and tradition around me. From the Barat to the beautiful and fun choreographed dance by the couple and their friends, every little detail was accounted for. Manu and Vadhna have a beautiful connection which is very obvious to anyone who spends a few moments in their presence. They laugh and seem to have fun around one another, and they were so sweet to one another during portrait time. Thank you Manu and Vadhna for choosing me to capture these moments. Location: 3869 Park Center Rd, Herndon, VA 20171.